Campus Report Card Now Available! The Texas Education Agency has released report cards for all campus. 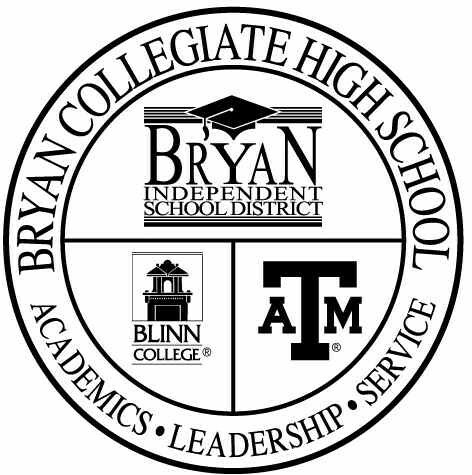 Click here to view the Bryan Collegiate High School report card. Click Here for the Senior Scholarship Spreadsheet! 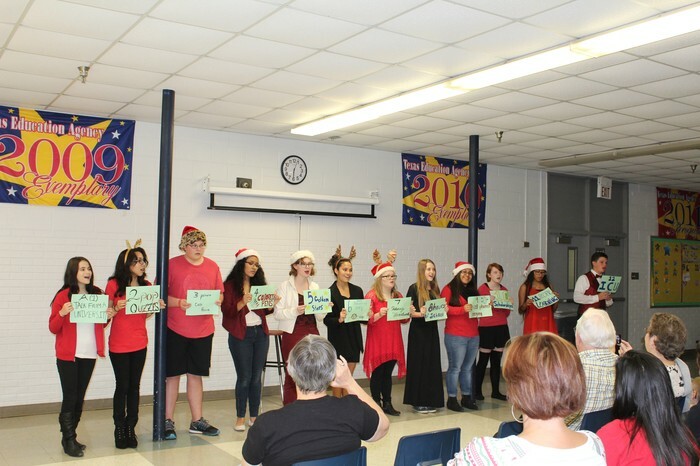 In December, the BCHS Drama Club put on their first performance. 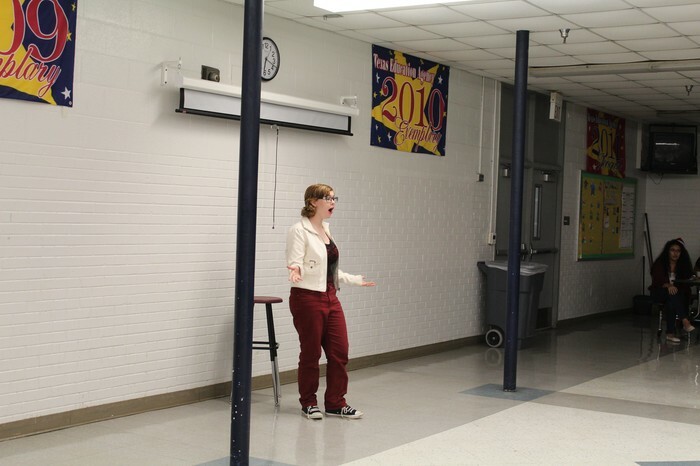 Their Winter Showcase included live improvisation and student written monologues. There were 14 performers and they did an amazing job! Way to go, Drama Club! 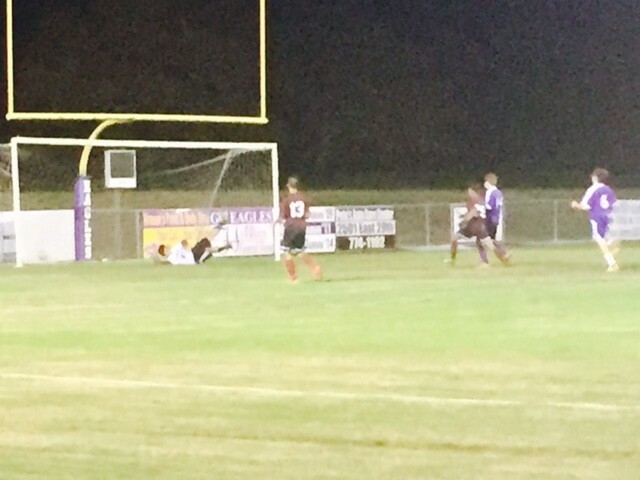 First Goal of the Season! 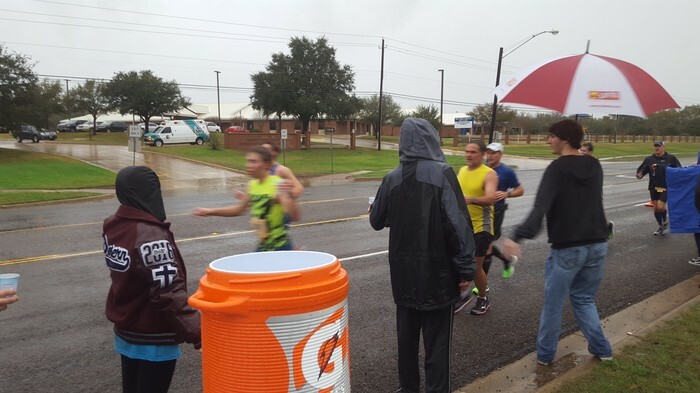 The BCHS Running Club will be participating in their first race on February 27, 2016. There is still time to sign up, contact Mrs. Ceaser if you are interested at amy.ceaser@bryanisd.org. There is a fee to participate; amount depends on which race you choose to run. 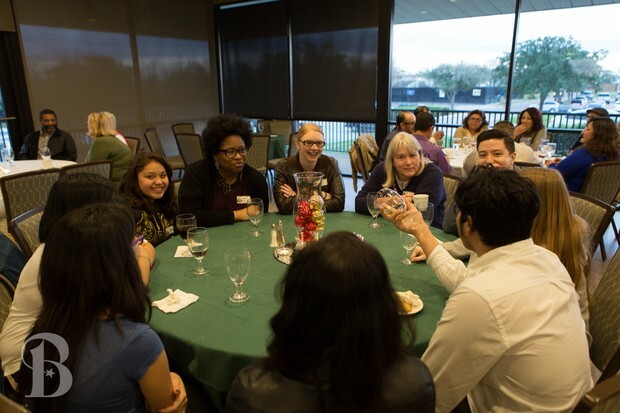 The City of Bryan recognized volunteers at a reception held December 16 at the Phillips Event Center. 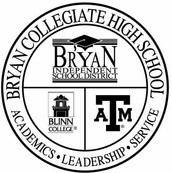 Students from Bryan Collegiate were honored for their service in Teen Court and the Youth Advisory Commission. Students in the Teen Court program were recognized for volunteering their time to serve as attorneys and jury members for a diversion program that sets the punishment for juvenile offenders. Members of the Youth Advisory Committee were honored for their dedication to meeting with adults to offer suggestions and criticisms of issues that affect teens in this area. Farid Arbarca (white shirt), Victoria Oldfield, Priscila Escorza, Maribel Escorza, Odalis Alvarado, Danielle Starling, Shannon Probe, Beverly Davis, Jose Castro, Alexandria Sylvester. 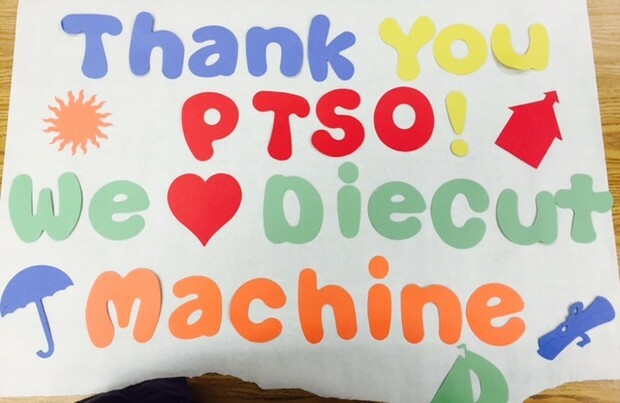 After much hard work fundraising, PTSO purchased a die cut machine for the campus! The faculty and staff at BCHS is grateful to all who contributed time and money!! 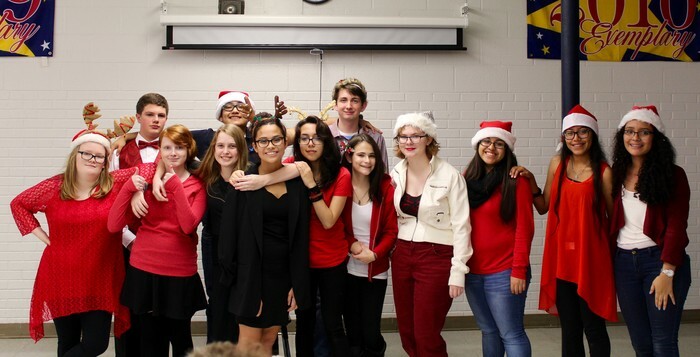 The BCHS chapter of the National Honor Society had a busy December. We hosted a blood drive on December 11th. We had 51 students and faculty sign up for appointments and collected 38 units of blood. Thank you to everyone who tried to donate. We will be hosting two additional blood drives in the spring if you are interested in donating. 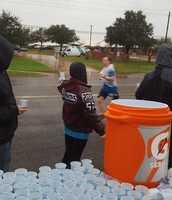 On December 13th we hosted an aid station at mile 10.5 of the BCS Marathon. 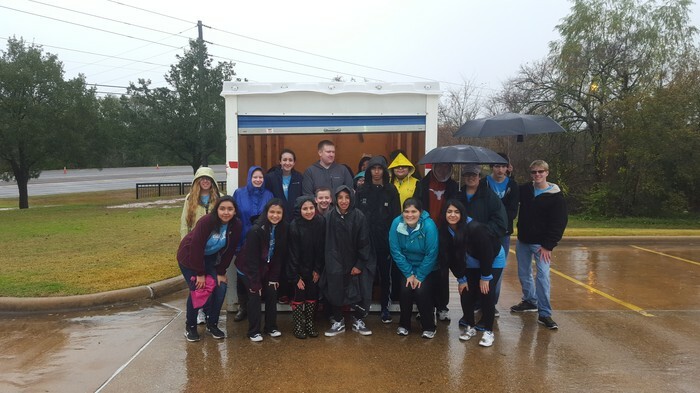 It was a very cold and rainy morning and 25 of our students showed up at 6:30 am with a smile and willing to work. 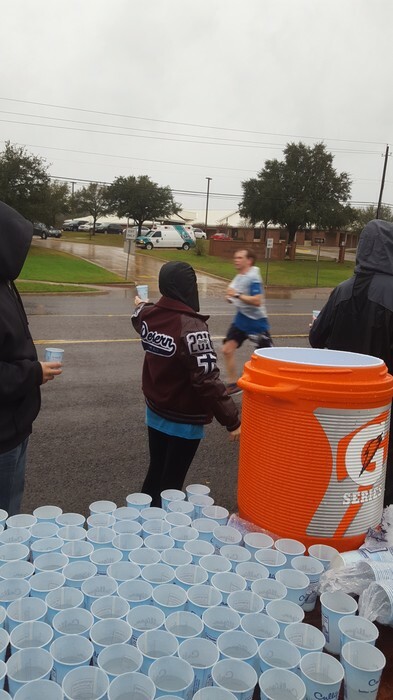 Students were responsible for setting up tables, filling cups with water and gatorade in preparation for runners, and finally cheering on the runners while giving out drinks. Come out and support your BCFC soccer team this month! 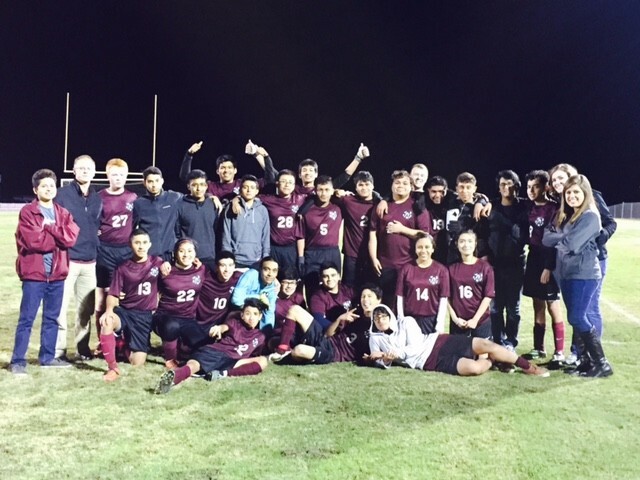 After we suffered a defeat against the talented Rudder Rangers on January 2, our record is now 3-1, and we’re looking to bounce back against Allen Academy (1/18/16) and Brazos Christian (1/26/16). Both games will be at 6:00pm and are located on those schools’ campuses. Arrive early, yell loudly, and let’s show the world that BCFC pride is alive and well! The students going on the Spain trip would like to send out a big Thank You/Mil Gracias to those that came and supported us the weekend of December 5th. 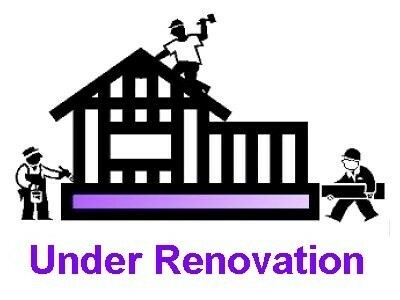 We raised around $1,000 and are very appreciative of your support!